Notting Hill History - Notting Hill Apartments Ltd.
Notting Hill began its journey from open countryside to forming the beginnings of west London as a pottery and pig farming area in the 1800s. James Ladbroke developed the area and over time, through financial ups and down it became a fashionable alternative to the more expensive Belgravia and Mayfair. At one point, it even had a racecourse but this never really took off, mired as it was in public disputes and literally the soft clay ground of the area. In the 1900s, as the appetite for domestic staff waned, people began looking for smaller houses and the large houses of the area fell from grace. With the advent of, mainly Caribbean, large scale immigration and short housing supply in the 1950s, the grand houses were converted to multiple occupancy. There followed a period where Notting Hill and Ladbroke Grove became somewhat lawless and poverty stricken. It was only around the 1980s that Notting Hill began its transformation from impoverished ghetto to the incredibly wealthy area it is now. A small house that could be bought for £10,000 in 1980 would now be worth several million now. Oh for a time machine! 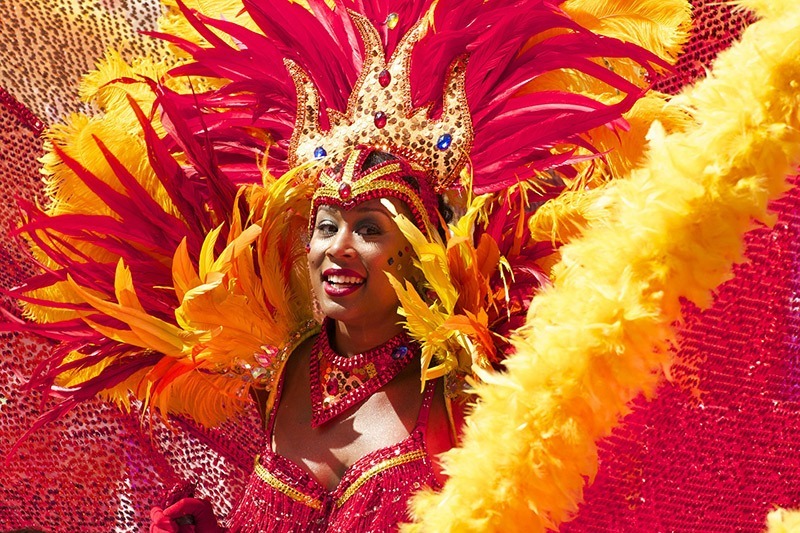 While Notting Hill has shed its seemly underbelly in favour of the monied elite, it retains some of its Afro-Caribbean roots and charm and none more so than in the famous yearly Carnival, a celebration of music and culture enjoyed by Londoners as it parades through the area.